Emergency Medicines Range for Pharma Franchise – Accident and emergency medicines have a good market demand in India as they are used at the time of any urgency. Penardo Biotech invites all those people who want to invest in the segment of emergency and accident medicines. Our company is an ISO certified that deals in providing a wide range of intensive care/ critical care, surgery medicines etc. The company is well known for providing best quality Emergency Medicines Range for Pharma Franchise. We follow all the quality guidelines laid down by GMP and WHO. Penardo Biotech offers a flawless drug range to its esteemed customers. Our company covers multiple drug segments like Antibiotics, Allergy, Painkillers, Cardiac Drugs, Anti-cold, Antiacid, Antidepressant, Antiviral, Anti-cancer etc. With the rise in the awareness among the public regarding healthcare medicines our company has expanded its Emergency Medicines Range for Pharma Franchise in Pan India. Our company provides its franchise services at most affordable prices. Apart from this we also provide you with great scope and career for your business. Our company caters to a diverse range of critical care medicines in all the dosage formulations like tablets, syrups, ointments, topical solutions etc. We aim to provide you with a safe, pure and effective accident medicines. In order to avail our franchise services just give us a call at +91-7056703730. You can also drop us a message via email at penardobiotech@gmail.com. We have adopted an easy way of communication by which you can directly connect to our experts. The increasing awareness among the general public is increasing the demand for medicines. The major factor of investing in this segment is it has high demand in the market. Increase in the cases of accidents and major diseases like cancer has lead to rising in the demand of emergency medicines. By associating with the reputed pharma companies for pharma franchise you will get various benefits like monopoly rights, promotional benefits etc. Therefore it will be not wrong to say that the real business seeker who is thinking to invest in the pharma franchise must choose emergency range segment. Customers always prefer and demand quality products and as a pharma company, we always keep in mind the quality. We design our products by keeping in mind the quality assurance. To ensure the quality we use fine active ingredients and pure raw materials that are imported from the most reliable vendors. Addition to this we have a well-managed quality team that keeps a constant eye on every process of manufacturing. Our company makes sure to deliver the products after chemical testing. Effective and latest way of packaging is used by us to avoid any kind of contamination and spoilage. We also have a spacious warehousing facility that keeps our products safe and hygienic. The entire range has been prepared to keep mind global healthcare and medical guidelines while manufacturing products. The APIs utilized in making each drug have been approved by the quality control team. The packaging is done sophisticatedly to ensure that no degradation to efficacy and deterioration takes place. Why Choose Us for Pharma Franchise of Emergency Medicines? We offer handsome incentives and bonus to our associates. The company provides good marketing and promotional support to its associates. Our company ensures 100% availability of stock and prompt delivery of products. We keep our associates inform about any update in the product though newsletter. 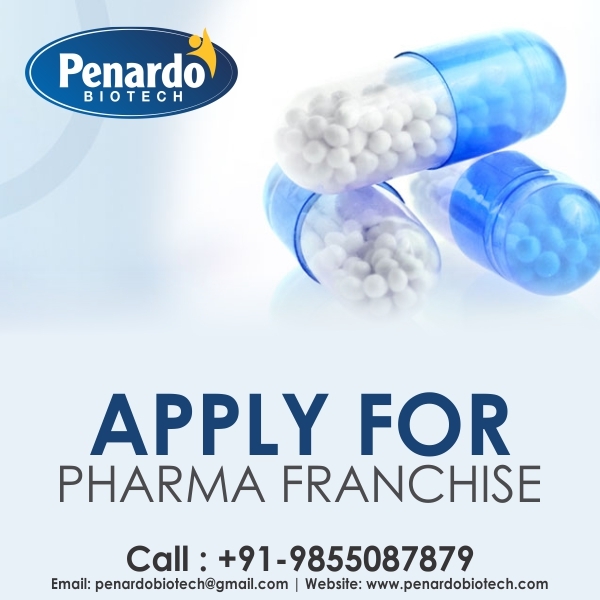 Leading in name of best Emergency Medicines Franchise Company in India, Penardo Biotech has been successful in raising the quality standards and varied needs of patients across the nation. By being a pharma distributor of our company, you get a host of benefits.